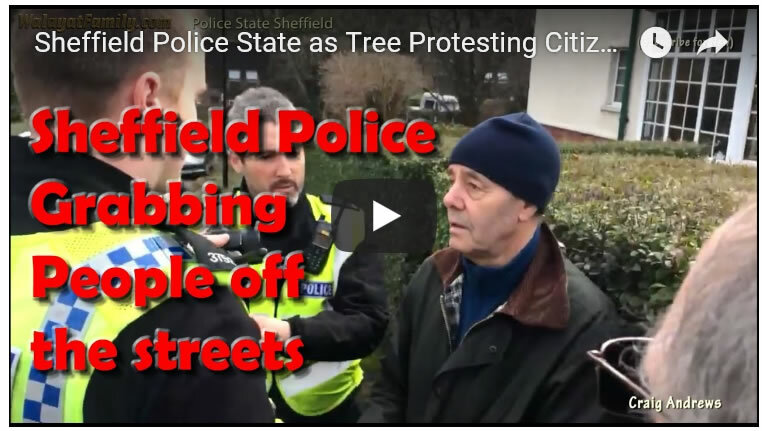 And so in response to growing public anger and protest that the Labour council suspended tree fellings towards the end of March in an attempt to diminish electoral fall out at the ballot box on May 3rd that had galvanised thousands of Sheffielders into peaceful protest including marching through Sheffield town centre on the 7th of April where Pulp front man Jarvis Cocker addressed a estimated crowd of 3000 at the "Get Off My Tree!" 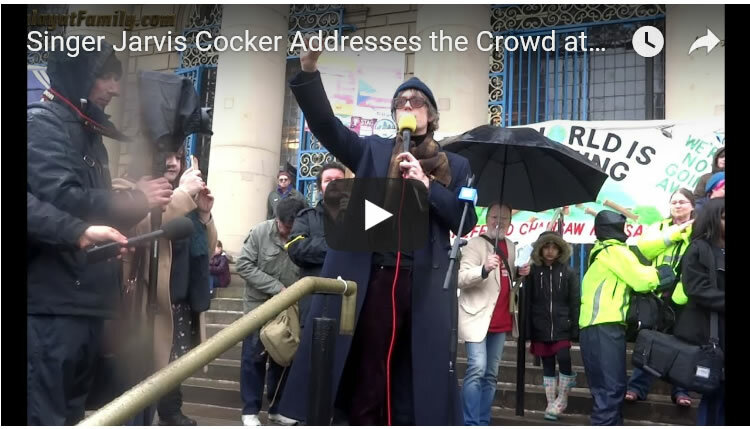 protest outside Sheffield City Hall. The current make up of the council has the Labour party in a commanding majority of 28 with a total of 56 seats. However with 14 Labour seats up for election then in a collapse in Labour vote could see Labours majority all but wiped out! 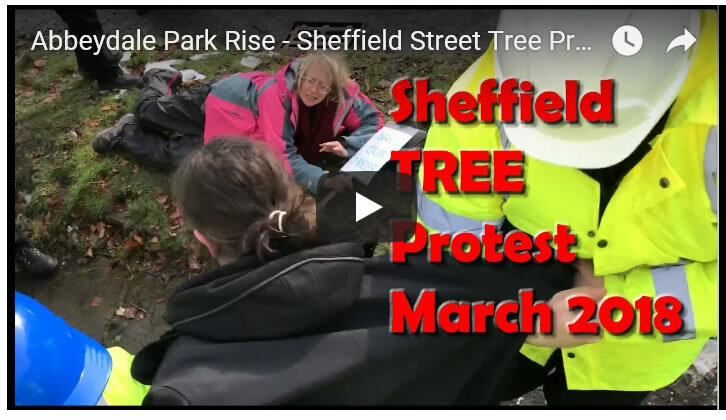 Of course even with the tree protests then that is a low probability event. 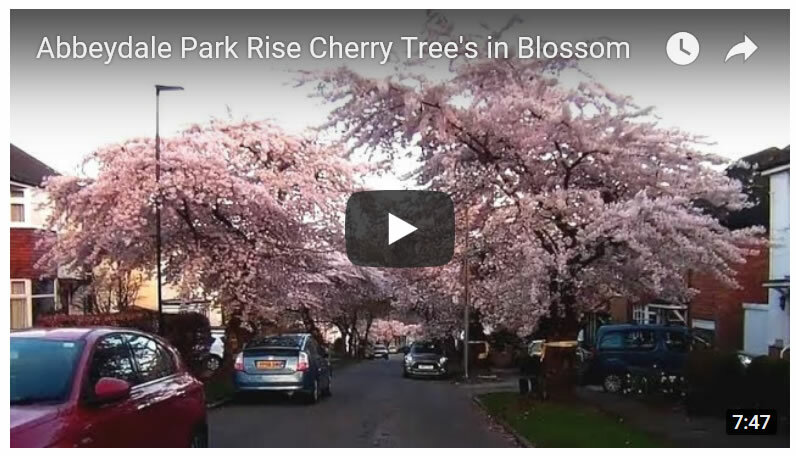 The worst that Labour can expect on May 3rd is the loss of 10 seats which means in a worse case scenario Labour party will still manage to retain control of the council on a much reduced majority of 4. 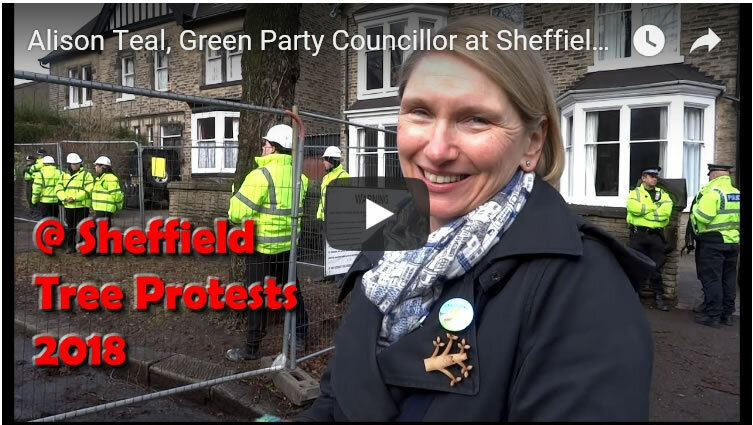 The key beneficiaries on May 3rd are likely to be the green party that could see the number of councils double from 4 to 8, with the balance going to the Liberal Democrats. 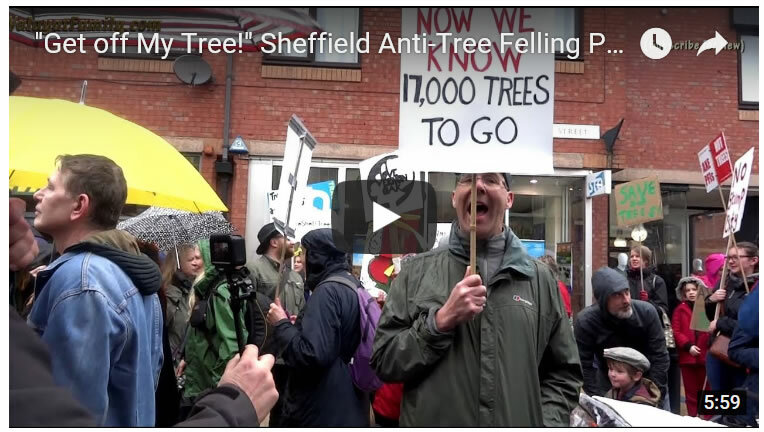 So unfortunately for those who love Sheffield's trees. 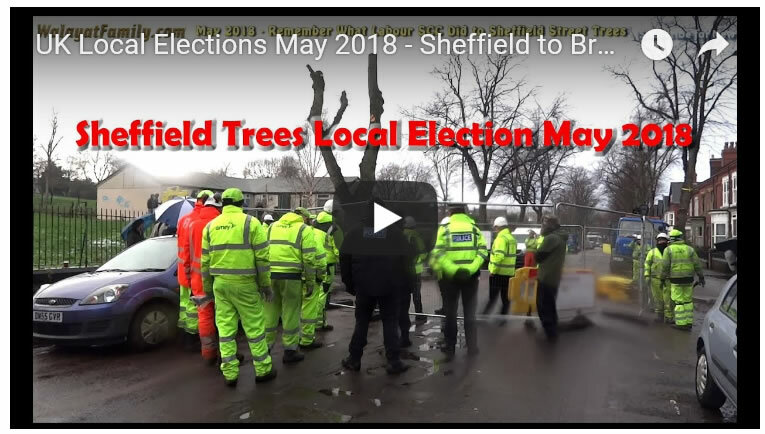 May 3rd is unlikely to bring an end to Sheffield's tree fellings which have just been put on pause for electoral purposes with fellings and protests expected to recommence on Monday May 7th. 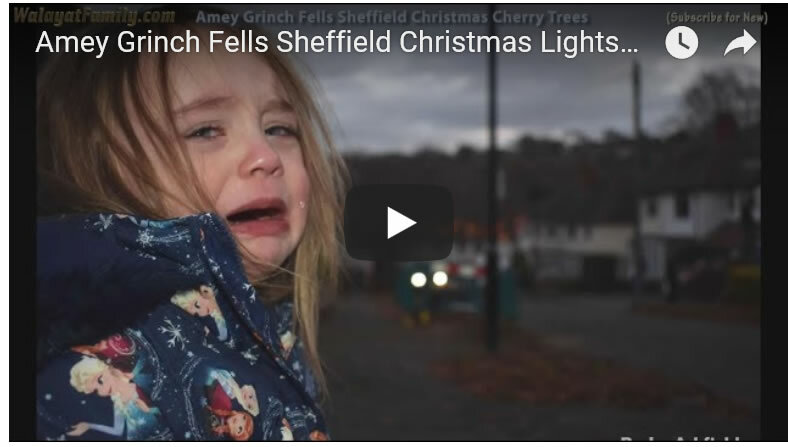 Here's a taste from ONE street (Abbeydale Park Rise) of why thousands of Sheffielders are protesting against the felling of healthy street trees.